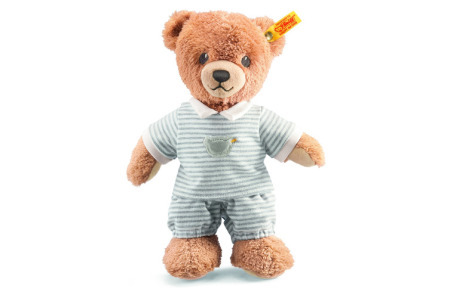 The Steiff Fynn Teddy Bear Pirate in a Suitcase is set to sail the seven seas with your little one on their next great adventure. 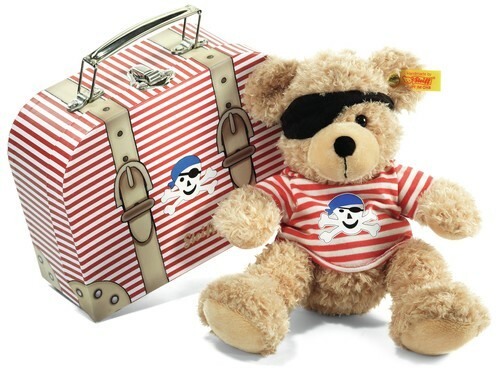 This cuddly little pirate is made of soft woven plush and comes in its own durable play-suitcase. Never fear if he gets dirty on his adventures as he is machine washable in cool water. His black felt eye patch is an adorable touch, along with the red and white pirate stripes on his shirt and suitcase. This buccaneer’s first mate (otherwise known as your little one) can stow away their stolen booty in the suitcase and save it for their next great adventure too.